Cambridge, UK – February 2018… Effective immediately, Graham Murray has been appointed to take charge of international business development and channel management for JoeCo, with a remit to deepen the UK manufacturer’s ties into key export markets. Having previously worked extensively in both Asia and the Middle East, Murray brings more than 35 years of industry experience and expertise to his new role. 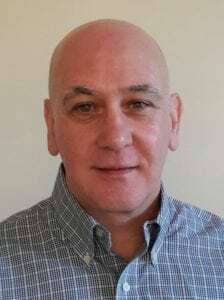 He is described by JoeCo founder and Managing Director Joe Bull as “a world-class audio professional with a reputation to match his considerable experience”. Murray arrives at JoeCo following the high profile launch of the Cello best-in-class desktop interface, with 384k recording and 125 dB dynamic range. As part of his new remit, Murray will spearhead international sales delivering increased visibility and success for JoeCo products including the industry standard BLACKBOX range of multi-channel recorders and players, and award-winning BLUEBOX audio interface recorders.